SINGAPORE - The 20-year-old Singaporean woman who was in a coma after a horrific car crash in Melbourne last weekend has died in hospital from her injuries. Victoria Police gave an update on Miss Gwyneth Lok's condition in a statement on Wednesday (Nov 28), four days after the blue Renault she was in collided with another car in Windermere, more than 100km away from Melbourne. The Renault came to a halt after hitting a nearby tree. The accident, which occurred at the intersection of Remembrance Drive and Madden Road at about 8.15pm last Saturday, left Miss Lok with critical head injuries. Victoria Police said on Wednesday that it will be reviewing the charges brought against Nasuha Nasser, 21, who was behind the wheel of the Renault. The Ministry of Foreign Affairs spokesman said on Wednesday night: “The Singapore High Commission in Canberra is rendering consular assistance to the family of the deceased Singaporean. “Our thoughts and condolences are with the family during this difficult time. We will also continue to assist the other affected Singaporeans and their families,” she added. The late Ms Gwyneth Lok, who succumbed to her injuries on Nov 28, 2018. Nasuha, a psychology and media and communications student at the University of Melbourne, was on Sunday charged with dangerous driving causing serious injury and negligently causing serious injury. She is out on bail and due to appear at the Ballarat Magistrates' Court on Feb 21. According to Australian news service Nine News, if one of the four passengers dies as a result of their injuries, charges against Nasuha could be upgraded to culpable driving and dangerous driving causing death. Doctors at Alfred Hospital in Melbourne, Victoria, had earlier told Miss Lok's family to be prepared for the worst, The New Paper reported on Tuesday. Several of her family members, including her parents and 13-year-old brother, have flown to Melbourne to be with her. 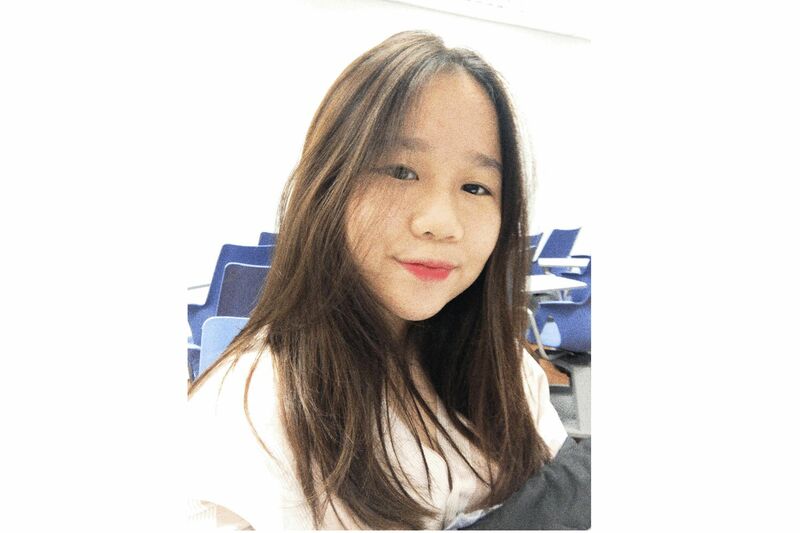 Miss Lok, who recently graduated from Ngee Ann Polytechnic with a diploma in early childhood education, was one of five Singaporeans involved in the accident. Nasuha and two passengers who were also her schoolmates were taken to Ballarat Base Hospital with minor injuries. The other passenger is Nasuha's twin sister, Naimi. Naimi, an undergraduate at the Singapore Management University, was flown to the Royal Melbourne Hospital for treatment after the accident. The driver of the second vehicle, a 48-year-old man, and his passenger, a 10-year-old girl, were not injured, Victoria Police said.